In the last part of the series Hanne Laitinen sums up her thoughts and insights from the program and her passion toward studying. The 22nd Aalto PRO Master Class in Quality program is moving into the final stretch, but Hanne Laitinen is at least as excited about her studies as before. 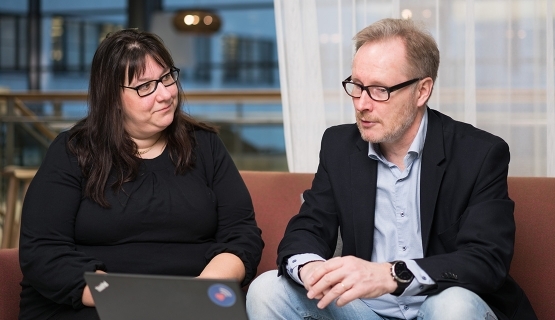 The most important insight gleaned from the program's latest modules has to do with systems thinking, says Laitinen, who works as Test Manager at Nordea Life. At Nordea Life, processes have been streamlined to perfection and described in detail, Laitinen says. The company is also ISO 9001 certified. What's been lacking, though, has been an overall picture of how the numerous processes are linked together to form a corporate-level system. “I oversee two processes, and during the program I began to think about how they actually fit to the whole,” Laitinen says. This thinking process has already led to action. During the Master Class in Quality program, Nordea Life has, for example, introduced SAFe (Scaled Agile Framework), which is based on the Lean-Agile concept and makes the system visible. Laitinen says that systems thinking links directly to her previous realization of the importance of strategy. The rapid pace of technological development presents an interesting challenge for applying systems thinking. Whereas twenty years ago, the system was formed by "automated data processing and people," it now also includes robots, artificial intelligence, and the Internet of Things. Systems thinking is also part of Laitinen's project work, even though she was originally going to focus on an entirely different topic. Maybe it was a blessing in disguise, then, that her project work has progressed at a somewhat slower pace than planned. Her biggest challenge, Laitinen says with a huge smile on her face, has been the desire to "explore the whole world." Fortunately, her program supervisor has made her slow down a bit. Laitinen also appraises the team spirit among the program participants. The participants have hung out together also after hours, going out to eat and, this being Finland, having sauna parties, too. The program will culminate in a study trip to the Netherlands in September. "It's a fabulous reward for a fantastic learning journey," Laitinen says. This is a final part in a series following Hanne Laitinen, who works as Test Manager at Nordea Life, as she participates in Aalto PRO's Master Class in Quality program. Throughout the journey, we have heard what it's like to study alongside work and what kinds of insights and eureka moments have come up during the program.